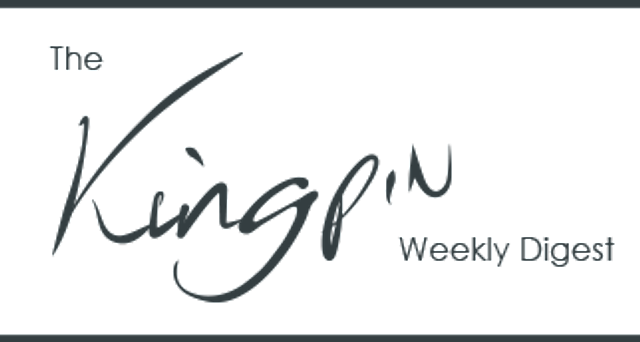 Welcome to The Kingpin Weekly Digest #22. Tuesday saw the beginning of the Chinese New Year and according to some astrologers the Year of the Pig is a "Great year to make money and a great year to invest". We love that optimism. The ever-optimistic team at Kingpin have been looking at what offers the most value to B2B marketers this week, which this week includes content audits, automation and AI in PPC , talking to the technical audience and Facebook's birthday. You don't always have to reinvent the wheel (or write 10 new whitepapers). With a content audit you can save time and money by identifying what you have already & where you need to fill in the gaps to reach your target audience. AI and automation are a part of daily life and are becoming a bigger part of search campaigns in 2019. Yet you can't rely on the robots to take over just yet. PPC success still very much relies on the knowledge and skill of the human behind the campaigns, so here's what to look out for when managing automation. When marketing IT solutions, we can guarantee you somewhere in decision making process will be a technical team. So why are many B2B marketers forgetting that? James Taylor talks about the power of talking to the technical audience. Often they love to talk. Not only did this week bring in the Chinese New Year, it also saw the 15th birthday of Facebook. Since thefacebook.com launched it now has 1.52 billion active daily users. Probably shouldn't write it off just yet. Co-Founder James Foulkes is speaking at a seminar run by our friends at TwentyThree in the evening of February 28th. "How to Properly Run Video Across the Entire Marketing Funnel"
James will be talking about maximising engagement and conversions. And there will be drinks and snacks. Have a great rest of the week, and speak to you soon.